Ukrtranshaz multiplies losses 4.2 times. 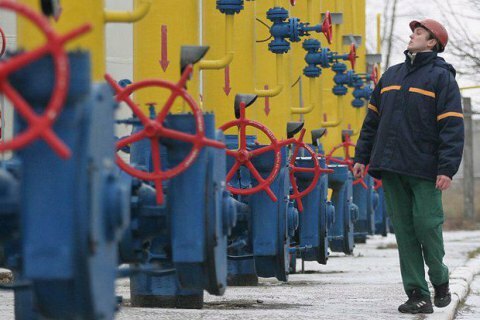 In 2015, Ukrtranshaz, the operator of Ukraine's network of main gas pipelines and underground storage facilities, posted 3.3bn hryvnyas [131m dollars] in net losses, whereas in 2014 it had 777m hryvnyas in net losses, according to an Interfax-Ukraine report. The company's report in the National Commission for Securities and Stock Market database says that its net income in 2015 grew 1.8 times (by 10.9bn hryvnyas) up to 25.2bn hryvnyas thanks to higher gas transport tariffs in 2015. The company received 23.2bn hryvnyas from gas transport, 1.6bn hryvnyas from underground gas storage, and 411m hryvnyas from other activity. Since January 2016, Ukrtranshaz increased the gas transport rate for Russian gas by 150 per cent. Ukrtranshaz is fully owned by the state-owned national joint-stock company Naftohaz Ukrayiny. Ukraine brings gas production to 20.9bn cu.m.